This is not your Nana's fur. 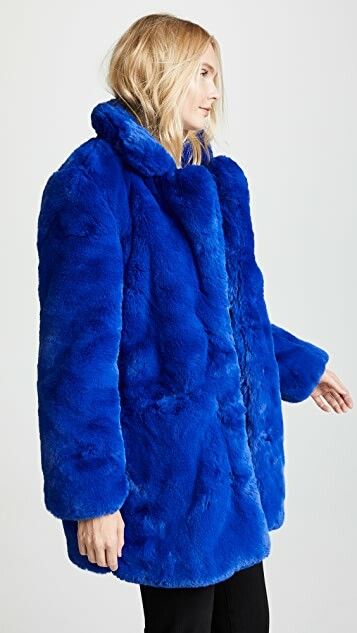 This faux-fur Apparis coat shows off a vibrant color and plush finish for an ultra-luxe layer that's guaranteed to keep you cozy. Sleek, cozy, luxurious—any way you look at it, fur coats offer a singular kind of glamour that not much else can. Until now! 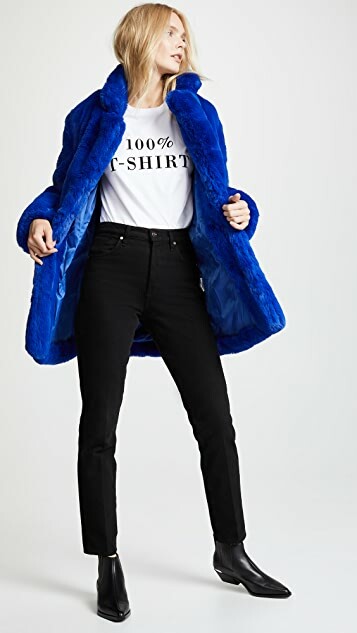 Faux-fur label Apparis is committed to using purely vegan products, making true cruelty-free coats that are beautiful, plush, and modern. And with saturated colors, fresh colorblocking, and new, cropped lengths, Apparis faux-fur coats might just completely refresh your daily rotation. Inspired by time spend sifting through vintage stores, Apparis outerwear casts a look to the past while also moving towards the future, breathing new life into classic styles.